Get more for your money with a Vodafone SIM. Hassle and commitment free, you have the freedom to do much more. £170.04 total cost over 1 year What's This? £204 total cost over 1 year What's This? £206.04 total cost over 1 year What's This? £234 total cost over 1 year What's This? What can I get with Vodafone SIM only deals? Save some cash on your monthly bills with a SIM only deal from Vodafone. With shorter contracts and reduced line rental, you can enjoy monthly savings that really add up. What’s more, Vodafone are currently investing over £1 billion to ensure a network that is both strong and reliable, nationwide. With widespread 4G coverage, and an Open Sure Signal Programme that has brought coverage to almost 100 rural communities, there’s never been a better time to sign up with one of the UK’s most popular and long-standing service providers. 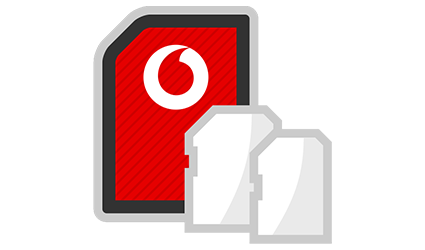 But there’s more to Vodafone than impressive coverage and competitive prices, there’s also a host of extra perks and benefits to discover with your new Vodafone SIM. Worried about tracking your monthly allowances? Take control of your usage with the My Vodafone App. 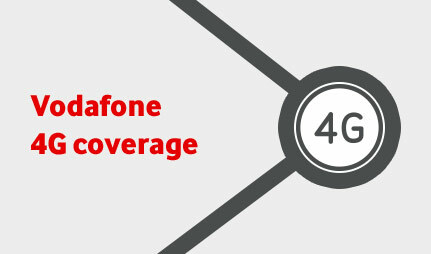 With Vodafone, you can be sure of crystal-clear voice calls and enhanced personal messages, not to mention safe and secure 4G data. 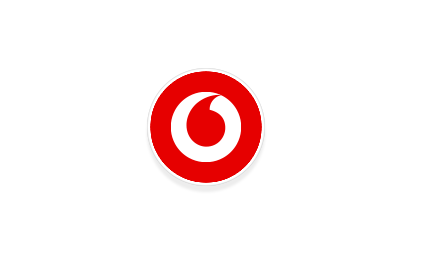 In fact, readers of Trusted Reviews have awarded Vodafone the title of Best UK Mobile Network of the Year. Manage your account from the palm of your hand with the My Vodafone app. It’s completely free to use, packed with clever features and compatible with all Android and iOS devices. Stay in control of checking and paying bills, or buy and manage extras. Enjoy a two-year subscription to your choice of content with a Red Entertainment Plan. When you sign-up to an eligible two year contract, you can select from leading brands such as Spotify, Amazon Prime Premium, Sky Sports Mobile TV and a NOW TV entertainment pass. Pick your favourite, and enjoy a subscription that lasts the entire length of your contract, at no extra charge. Spotify Premium gives you instant access to more than 30 million top tracks. No ads – just the songs you love. Search an artist or let Spotify surprise you with something new. Why not even create your own playlist or kickback with your own unique Daily Mix - a playlist created by Spotify just for you, based on your tastes and listening habits. Catch every nail-biting moment with Sky Sports Mobile TV on your phone. Watch live coverage from Sky Sports 1 and 2, plus all the round-ups from the world of sport on Sky Sports News HQ. And with more Premier League action than any other mobile network – a Red Entertainment plan with Sky Sports Mobile TV is a must for any footie fan! All customers who qualify for Red Entertainment after the 23rd August will get only new pack 1 included in Red Entertainment. With a NOW TV Entertainment Pass you can enjoy the latest must-see TV shows that you won’t find on Freeview. Get unlimited access to 11 of the most popular TV channels or dive into over 250 box sets. Whether it’s award-winning comedy on Comedy Central, gripping dramas on Sky Atlantic, or eye-opening documentaries on the Discovery Channel, a NOW TV Entertainment Pass has something for everyone. 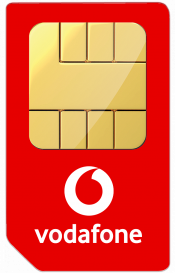 What size Vodafone SIM do I need? There’s no need to worry about which size SIM you need to fit your phone. That’s because when you order a Vodafone SIM only deal, you’ll be sent a Multi-SIM. This has perforated sections that lets you break down the plastic to your required size. Whether your phone needs a traditional large SIM, a micro SIM, or a nano SIM, the Multi-SIM covers all bases and can fit the any SIM-slot. If you don’t know what your required SIM size is classed as, then don’t worry. Just place your existing SIM over the Multi-SIM and you’ll easily see which of the three options is the correct match. 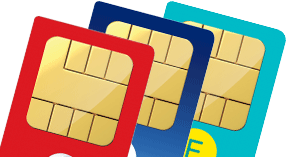 Receiving all three SIM sizes in one go makes the whole process that little bit easier. What about other SIM Card Deals? If you can't find the perfect sim card for you, we have plenty more offers for you to browse. We work with all the major networks, so you can compare all the best SIM only deals in the UK. 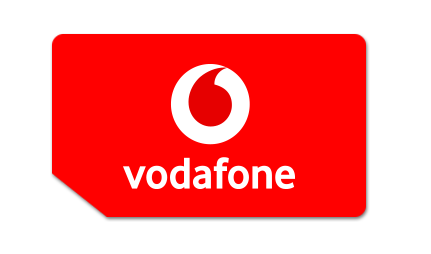 Ever wondered what perks and extras you could get as a Vodafone customer? Find out everything you need to know right here.